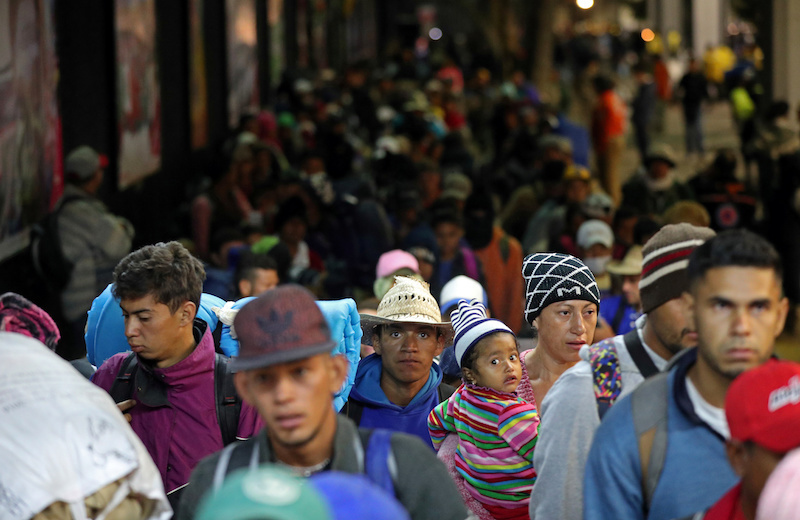 QUERETARO, Mexico—Hundreds of Central American migrants resumed their march north through Mexico en route to the U.S. border. The caravan, made up mostly of Hondurans, started north again on the morning of Nov. 10 following a rest of four days in Mexico City. They carried backpacks, blankets, food, many with children in tow, and took the metro and then walked to the town of Tepotzotlan. News reports and patrons of the metro have reported crowding and “chaos” as the migrants increased the number of riders. There, the migrants were helped onto buses and trucks by authorities, who stopped traffic to ask motorists if they would take the migrants to the city of Querétaro, where a shelter was set up at a stadium. Some of the migrants are set to arrive to the border city of Tijuana on Nov. 12, while others later in the week to Reynosa and other border towns, according to migrant shelters. 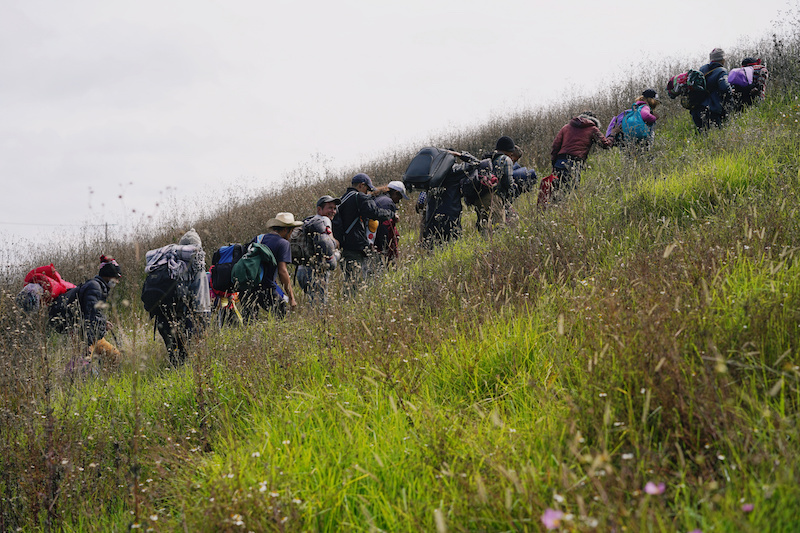 Migrants who attempt to cross illegally into the United States from Mexico won’t be eligible to claim asylum, the Department of Justice (DOJ) and Department of Homeland Security (DHS) said in a new rule announced on Nov. 8. President Donald Trump signed a proclamation issuing the rule on Nov. 9. Anyone who enters the United States from Mexico is ineligible for asylum, according to the interim rule (pdf). By Hannah McKay. Zachary Stieber of NTD News contributed to this report.